At the start of the process, Nichole described the cover she had in mind. 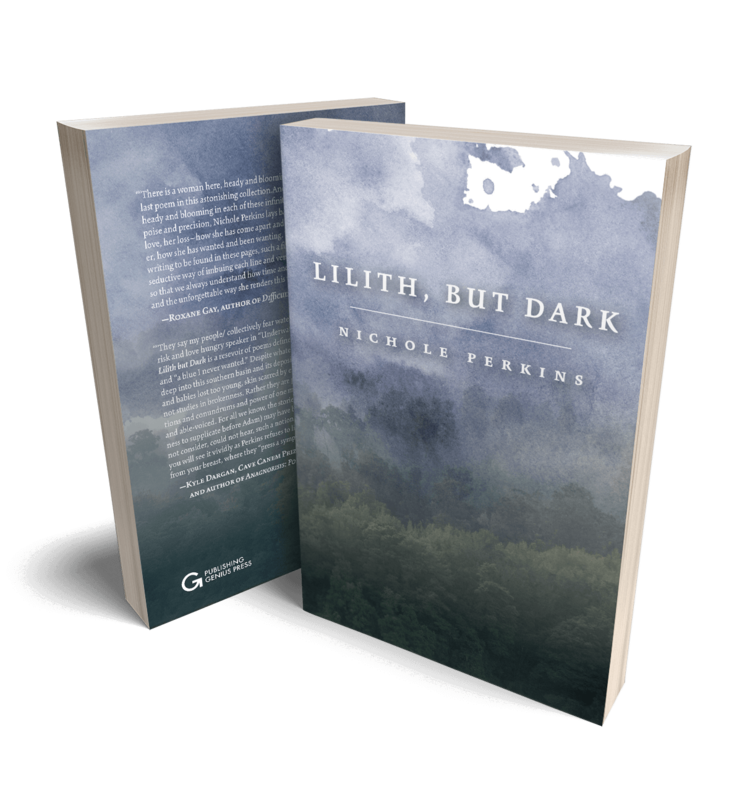 “I’m thinking of the poem the line ‘Lilith, but dark’ comes from,” she wrote, “which is ‘The Quest for Immortality.’ The poem is kind of a dreamscape that features this mythical Lilith dominating her lover, giving him immortality but not in the flattering way he hoped. Words that come to mind: smoky, moody, sharp, mischievous, lonely, powerful, sad, haunting, reverent. That was what I went with for here, using a water color painting and merging it with a photo of a New Zealand forest by Tobias Tullius. The cover hints at a dreamscape kept “between the flickering lids of sleep … pretty and blurred,” as the poem goes. More blurbs on the way! Nichole’s book will be available this spring. Will you write about this? Us? where you will be pretty and blurred. There, your plum-tight skin pops. I am Lilith, but dark, pressing you down. The ground is purple with us. I will keep you beneath me forever. My knees press a symphony from you. but I see the teeth in your open mouth.